Iboga may be a completely foreign word to you. 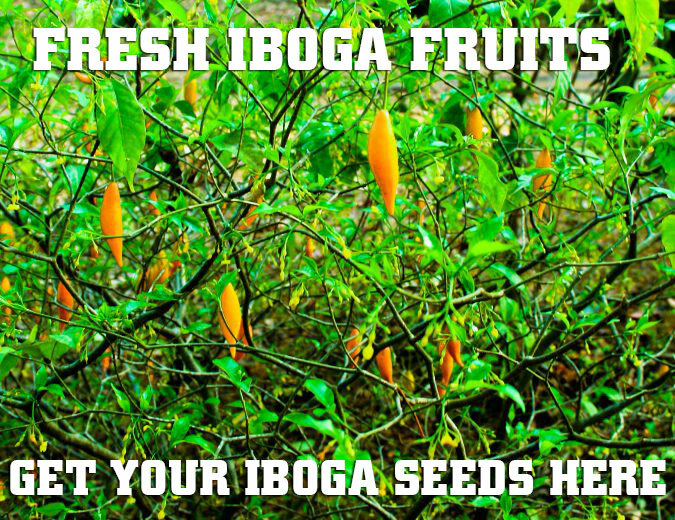 Even if you’ve dabbled with other drugs before, iboga is not something that’s commonly used by mainstream drug users. That’s due to its spiritual and ceremonial nature. It’s not something you can take at a party or rave. Rather it’s intended to be taken in a quiet environment free from distractions. Iboga has been used for thousands of years by shamans, originating from the Congo basin. The iboga plant is riddled with psychoactive compounds, though most of them are found in the root bark of this plant. If you’re looking to experience the power of iboga healing from iboga root bark, here’s what you can expect to gain from your iboga trip. One thing all psychedelic drugs have in common is their innate ability to change the way we see ourselves and the world. Iboga is no exception, though there are many difference between iboga root bark and most other substances. The closest relative to iboga root bark would probably be ayahuasca; even then there are several differences between the two. To start off, iboga has a powerful effect on your current state when you take iboga. What happens in most cases (not every trip is the same) is a flash of memories pops up right in front of your eyes. You’ll be able to see everything you’ve lived; from the happiest of moment to the worst times of your life. Many iboga users describe the trip with iboga root bark to be much more realistic compared to ayahuasca in the sense that the visions appear real. With iboga, users are much more connected to their current physical state and don’t experience the flashbacks as if they were happening now in a dream. With so many past dreams and memories flying in front of you, you’ll be able to reflect on past events and hopefully gain a new sense of purpose and direction for the future. Because the memories are flashing right before your eyes and you don’t enter into as much of a “dream-like” state as with ayahuasca, ingesting iboga root bark will allow you to make sense of everything that has happened in your life in a clean, organized way. Whether you have trauma that’s been locked up deep away or negative childhood experiences that have impacted you into adulthood, you will be able to see what exactly is causing your problems so that you can address and resolve the issue outside of your trip. We all have wounds from the past, but iboga can also help you to relive from the joys of the past, too. While most people use the drugs for its iboga healing properties and to connect with deceased family members, it’s also used to bring back joyous memories form the past. By focusing on the positive in the past, you can remind yourself of what it is that truly makes you happy. Bring back the innocence and bliss of childhood and apply it to your adult life with the healing properties of iboga. Another amazing property og iboga root bark is the fact that it can cure addiction. Many times, we reach out for substances to numb the pain away or take drugs irresponsibly. Iboga is not a “drug”, rather it’s a tool for healing and getting over addiction to recreational drugs. Just like too much water, salt or any other substance is bad for the body in large amounts, many drugs can be bad, too. Especially when made with synthetic ingredients or purchased from the street. That’s why iboga is so important. It can help take away your cravings for street drugs and guide you on your path to sobriety. In fact, there are over 100 natural substance abuse treatment centers around the world that use the healing power of iboga as part of their regimens to heal addiction. If you have gone from a weekend drug user or an occasional drug user to someone who needs drugs all the time, perhaps it's time to try a natural plant that's been proven to reduce these cravings for synthetic, unhealthy drugs. Saying goodbye to relatives before they depart the present world is one of the most important things. There may be a lot of laughter, a lot of memories to reflect on together, some confessions and some parting advice. Unfortunately, not everyone has the chance to say goodbye to their deceased relatives or friends. If you’re in this situation and would like to say goodbye or hello again to your favorite people who have crossed into another world then trying iboga may be just right for you. Conversing with the deceased is actually the intended and traditional usage of iboga. This is the main purpose of this substance that’s lasted for thousands of years in the Congo. It had been used to be able to communicate with the dead for thousands of years, in addition to the turbo charged memory seeing ability it provides. No matter what your intended purpose is of using iboga, it’s sure to change your life for the long run. You’ll be blessed with new knowledge about yourself and the world and may even be able to talk to past spirits. This drug is incredibly potent, especially when the root bark is taken (where most of the active ingredients are located). If you want to transform your life and go on a spiritual adventure for 24 hours (yes, the toal effects of iboga are that long! Be prepared and don’t count on sleeping), so get ready to discover the answers to all of your burning questions. This is a very rare, tricky plant to grow but very rewarding. Germinate in cotton wool and sterilized water keeping warm with a heat mat. Germination will take place in 6-10 weeks. It naturally germinates in the fruit after it is starting to turn rancid. Make sure all soil is heat sterilized so the seed does not rot once transplanted. The best soil mixture can be prepared with 80% coarse sharp sand mixed with 20% potting soil perlite and vermiculite. If the seed shell is stubborn and does not shed naturally after three days use a scalpel to gently remove it very carefully 2mm per day until it is off! Keep warm and humid and out of direct sunlight until after one year old. Mist the soil when still young. After a year keep well watered. Try to simulate their natural environment as much as possible. Heat mats are a complete necessity with these seeds!